Backpacking Thailand is one of those experiences that every male & female traveler must have in their lifetime. 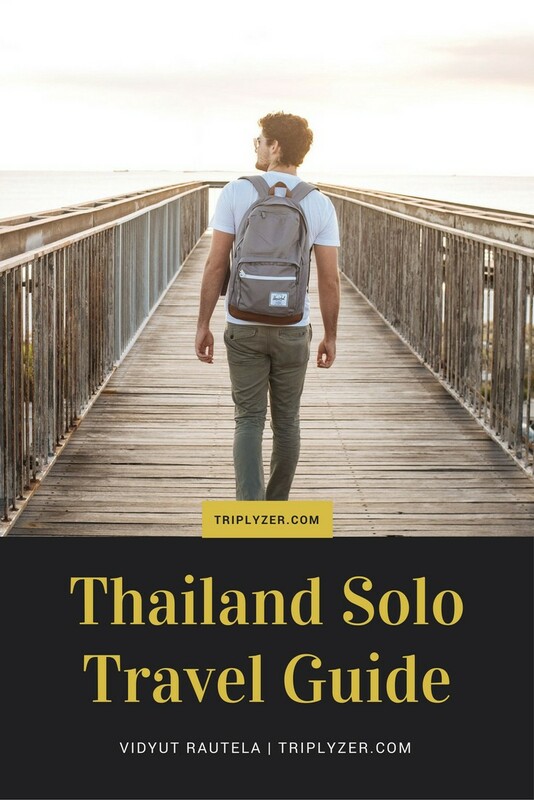 Based on my own solo trips to Bangkok and other parts of Thailand, I compiled this travel guide to Thailand to help others Backpack Solo in Thailand. Also, this blog is almost equally useful even if you are traveling Thailand with friends or family. The point is the tips in this Thailand travel guide should appeal to all who are doing first time travel to Thailand. 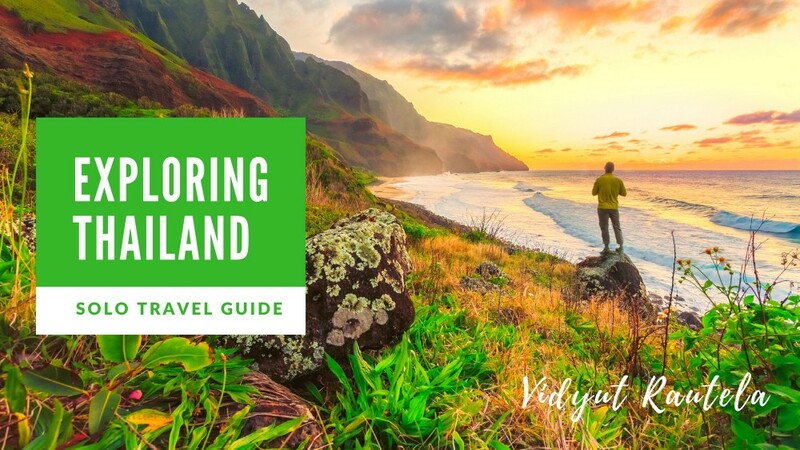 Stay with me, you’ll find this Thailand blog post to have tonnes of tips to help you plan your first trip to Thailand. Though Thailand isn’t a developed nation but it still boasts of first class infrastructure. Thais are big on cleanliness and their streets are litter free, thanks to the street hawkers who always clean after themselves when their day ends, and the citizens who follow the commonsense rules of cleanliness to the core. Know that Thai are very proud of their royalty. Show respect to the king at all times, it’s punishable under Thai law to disrespect or belittle the Thai king. Theravada Buddhism is the principle religion of Thailand, however several of the Hindu gods such as Lord Ganesha are equally revered by the locals. Garuda, pet animal of Lord Vishnu, is the Thai state emblem and you’ll find the imagery and the statue everywhere. While backpacking Thailand, you will realize that it is somewhat like a giant theme park, jam packed with attractions and things to do. Decide which part of Thailand you want to visit or which highlights you want to cover and stick to it. 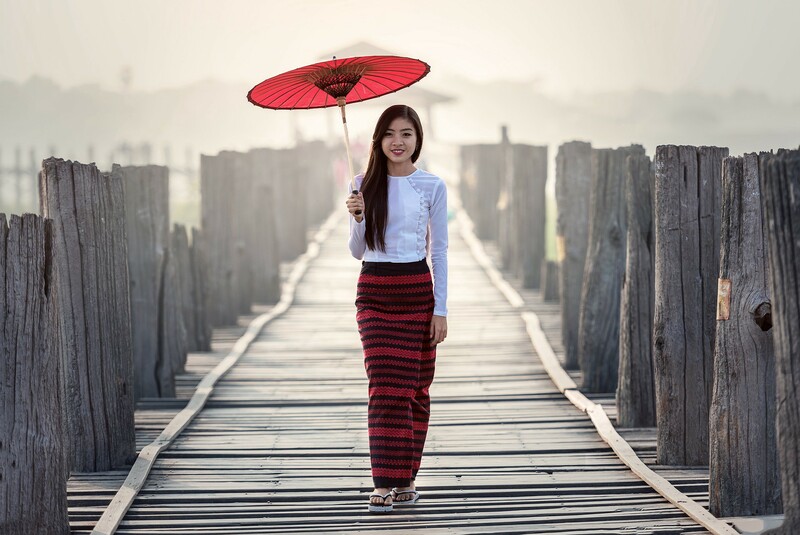 Some of the most popular tourists places to chose from are: Bangkok somewhat in center, Chiang Mai (laid back city) in north, and the numerous island down south in Thailand. It’s impossible to see it all unless, you have at-least a month. In Thailand no tipping is necessary anywhere from taxi to dining, yay! More money in the wallet. There are so many 7/11 (a Japanese convenience store chain) in Thailand that your eyes will begin to hurt. Many of them are open round the clock, get in anytime for a quick bite and a cup of Joe. First things first, right? Why go to Thailand at all ? Because Thailand is a perfect mix of Masti, Bhakti and Susti …! How to get Thai Tourist Visa On Arrival: On Arrival for Indians, cost 2k THB, can be easily obtained on the airport. Flights to Bangkok: Direct flights take about 4 hours from Bangalore/ Chennai. Travel within Thailand: Buses are perfect and/or take AirAsia which is reasonably priced. Budget: On par with traveling in India, maybe slightly expensive but not too much. Safety: Thailand is pretty safe place unless you are explicitly looking for trouble. You (Women too) can enjoy night outs, even walk on the main streets without a worry. Locals usually don’t bother tourist (unless they are trying to sell them something). Needless to say behave responsibly and refrain from drugs or any other activity which can be considered shady. Believe me you don’t want to get caught on the wrong side of Thai law. Currency/ Money: Thai Baht (THB). 1THB ~ 2 INR. As an Indian you will feel that certain things are rather too cheap in Thailand (e.g. Hostels in big cities like Bangkok) while other are more expensive. Food is expensive than India, simply because you are paying double! e.g. 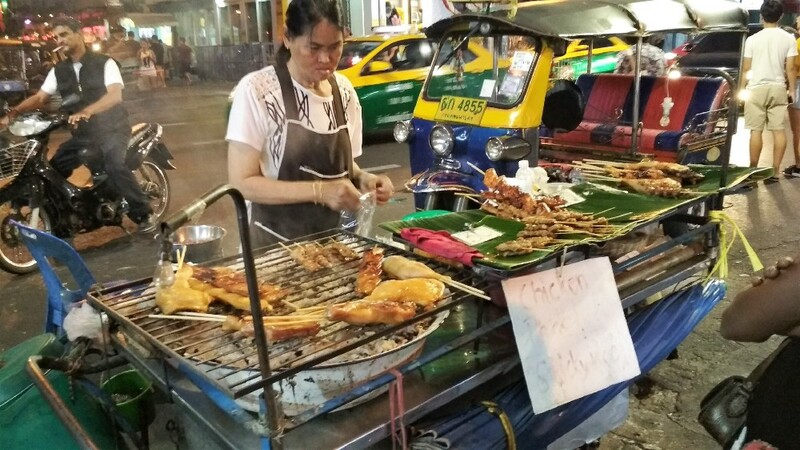 Thai Pad (typical Thai noodles that you can’t run away from) will cost you 50–60 THB i.e. 100 INR even on any street cart. Australia and Japan don’t require a visa. The visa is valid upto 15 days from the date of issue. It is okay if you flight ticket crosses the 15 days limit, you can tell the visa officer you plan to visit Cambodia (/Vietnam/ Laos) and ask the Thai visa officer to issue visa only for 15 days. Tourist visa is not a multiple entry visa – meaning if you leave the country (e.g. you visit Cambodia) and try to reenter you have to get the visa again! Address in Thailand – the hotel you are going to stay when you arrive, it is advisable that you book a hotel for the first night at least and provide its name and the address in the visa application form. Also, there is free internet available on airport so you can do the booking on airport itself! Note that if you need OTP for completing your card/ibanking transaction you should probably link an Airtel (100% confirmed) sim with the bank account as I can confirm neither Idea nor Docomo receives the SMS. – Indians get on-arrival tourist visa which is valid for 2 weeks at a stretch. Please have a hotel booking ready even for one day some immigration officers really insist for it. – There is no ATM available before the immigration check in the Suvarnbhumi airport. The only currency accepted for Thailand visa processing is Thai Bhat, so don’t forget to carry a minimum amount in THB. Top Thai Destinations — Where to go in Thailand? Pai — Blissful nature, the hottest phenomenon among backpackers right now. Pattaya — The sin city. If you are a Bachelor (guy or a girl), you gotta go here at least once. Phuket — Perfect family destination except the infamous Soi Bangla (think Pattaya walking street). Lot of day trips to the islands nearby. Koh Samui — Very relaxed place to spend a long holiday. 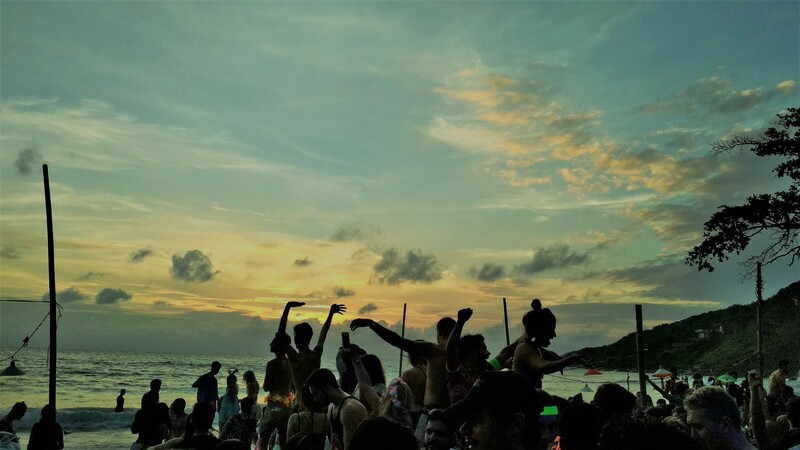 Koh Phangan — The party never ends; heard of Full Moon Party? 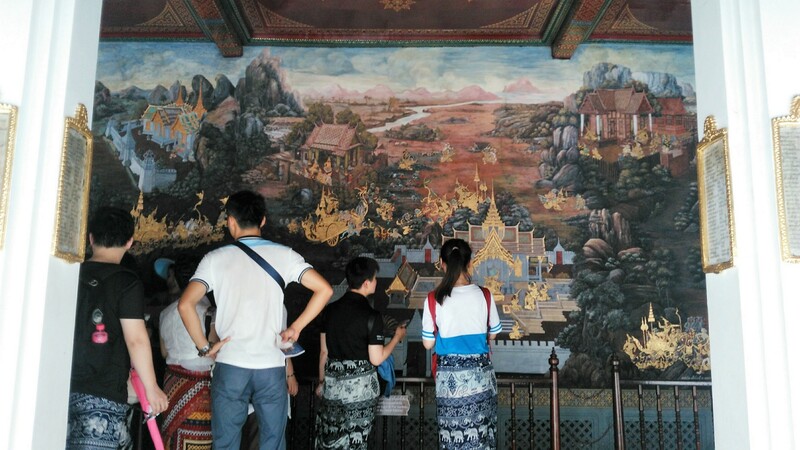 Chiang Mai – the mountain town (yes Thailand is not all beach and tuk-tuk), and a top backpacker destination. Phuket – the beach resort town, ideal for families, lot of water sport activities. Pattaya – Seriously, why would you even visit this place unless you are a horny 20 something or a filthy rich 50 something? This is the sin city of Thailand and you really have to see it to believe it. Ayutthaya – Close to Thailand and usually done as a long day trip from. Visit here for some impressive ruins of old civilizations. Not to mention place is a world heritage site. Ko Pha Ngan – Home of wild, infamous famous Full Moon Party. Ko Samui – Resort island and a gateway to Ko Pha Ngan. About 10-12 hours distance from Bangkok. I will be posting individual guides on popular Thai destinations. Subscribe here to stay updated. Suvarnabhumi Airport: major international airport. Spice jet from India uses this airport. Don Mueang Airport: Air Asia plies from here. Take non-stop Express Line which drops you at Makkasan station (close to Phetchaburi MRT station), the whole journey takes about 20 minutes and costs 150 THB. It’s economical and as well as quick! Take the slower City Line if you are on a very tight budget, the ticket to Phaya Thai would cost you about 40 THB. Cabs are quite reasonably priced in Bangkok. Always insist to go by meter. You can catch a metered taxi from the first floor at arrivals. A trip to the city center would cost anywhere between 300-400 THB excluding the tolls which are an extra 45 and 25 THB. The journey time during the day is around 45-60 minutes, while in the night time you can reach in 30 minutes from as far as Khao San Road (This is from my own personal experience). There are many international airports scattered throughout the country. It’s always cheapest to get to Bangkok and then move on to the other part of the country. That said, flights to some of the other bigger airports are usually available at reasonable rate. So, always check and compare before you book. If you are going south it’s a good idea to check the flights to Phuket. In Bangkok itself, there are two big airports. One is DMK and other one is Suvarṇabhūmi airport (that’s right, it’s Sanskrit. India does have a huge impact on Thai culture). DMK is the older one with budget airlines, it’s a hub for Air Asia in particular. Interestingly, Indian flight carriers including, SpiceJet, GoAir etc. use Suvarṇabhūmi airport (maybe they don’t consider themselves as budget 😝). From airport you can either grab a taxi, which would cost you about 250–280THB including toll charges. Alternatively, you can take the yellow buses right from the airport exit. These bus costs about 50 THB for the whole journey. Detailed guide on transportation between a Bangkok airport and city (Khao San Road) can be found on my travel blog. Backpack tip #1: Grab a free/ cheap sim card and you can book yourself a GRAB Taxi (similar to Uber/ Ola). Grab the motorbike if you are traveling light. Note, that there are no ATMs in arrival area before the visa counters. Make sure to carry enough cash to cover your visa and other expenses. The other expenses may include food (especially if the queues are long and you need to wait), taking a passport size picture. If you forget to a passport size photo you can get a picture clicked at one of the booths in the airport. Internet is available in the whole airport including the arrival before the immigration check. Just in case you need to do an online transaction or contact your friend/family. OTP needed for banking transaction doesn’t come on Docomo/ Idea network (my personal experience). However, if you have an airtel no. you will receive on instantly. Also, keep HDFC saving & credit card accounts both of them don’t mandate OTP and you can use good old the Verified by visa password without a hiccup. Remember, this is perhaps the most critical (but often overlooked) aspect of traveling; specially if you are traveling solo and are booking hotels and flights on the go, you can get into really uncomfortable situations. Avoid Summers at all costs. It’s HOT, HOT, HOT! Monsoons are okay but not recommended, unless you want to spend all day inside. Oct-Feb is probably the best time to visit Thailand. New Year is crazy busy but crazy fun too, highly recommended if you are in mood for partying. Use booking.com though some of the Indian hotel booking sites do work but you always have to pay in advance. Also, the hotels/ hostels on Indian booking sites are rather too limited. Indian hotel booking sites are only handy in the sense that you will pay in INR and thus save the exchange fee. Bangkok is pretty central to whole Thailand and the journeys are usually overnight on buses. Take flights only if you are traveling from end to end (North-South). Buses are probably the best way to travel in Thailand, in terms of comfort, time and money. Of-course buses can’t compete with flight in terms of saving time but you can always take overnight buses and save the day time as well as the hotel expense. Trains are fine too but I don’t see the necessity to travel in one as buses beat them in all departments hands down. The frequency of the buses to all popular destinations is very good, there are so many buses that you will always find one to your destination at your convenient time. You have to be bit careful though during the peak season (think new year). Also, Thai Buses can be booked online very easily with an Indian credit card (usually with a Visa card). Bus stations: There are multiple bus stations in Bangkok, and which one you will go depends on where your destination is. Mochit — Northern Bus Terminal: Buses to northern provinces of Thailand including Chiang Mai, Chiang Rai, as well as to the neighboring countries of Cambodia and Laos. Sai Tai Mai — Southern Bus Terminal: Buses to Southern provinces of Thailand including Phuket, Southern islands, and Surat Thani. Take the public bus from Khao San Road and you can reach any of these bus stations with ease and in time(usual travel time is 30–40 minutes by public bus). The best thing is these city buses are damn cheap and will cost you around 20–30 INR only! 1. Not all the buses are available on one portal, some buses might or might not be available on a portal so check in all the portals for the best rates + timings. 2. 999 is a government run service and is extremely popular among backpackers (and locals). Their rates are usually cheaper in comparison and they run just as efficiently as any private bus operator in Thailand. But do remember these buses sell out very quick. 3. VIP buses are bit more luxurious in the sense that there are lesser number of seats in bus. Also, you will see that interiors have a superior feeling (particularly the seats). If these things don’t really matter you should take the regular class and save money. The regular classes are just as comfortable and clean (maybe a notch or two lower but it hardly makes a huge difference unlike in India). Thai Food is a very tricky subject if you are a vegetarian. You have to shell good amount of THB for pure vegetarian food unless you are ready to make some compromises. Can you eat the food cooked from the same kadhai they use to make shrimps (or chicken or fish for that matter)? If the answer is no, head to specialty Indian restaurants or vegan restaurants. Use https://www.happycow.net to locate the nearby Veg/ Vegan places to eat in Thailand. Of all the fast food chains (McD, KFC etc.) only Subway is the one which serves veg. (only one sandwich, no variety sadly) rest of the fast food places don’t even bother. But if you are a non-vegetarian who can eat pretty much anything, you will be spoiled for choices. Of all the Thai curries, I personally like Massaman curry. Try all the varieties (Green curry, yellow curry etc.) and pick one you like. Thailand is an Buddhist majority country. The Thai people are deeply religious (including the youth from what I saw). As Buddhism originated in India, Thai culture is also influenced by some of the Indian traditions. Scattered around Thailand, you will see a number of crumbling historical sites which were once Hindu Kingdoms. The names of the kings are abbreviated as King Rama (follower by roman numerals — e.g. King Rama I). Not to mention, Thailand has its own version of Ramayana (Ramakien), which is also an official Thai Epic. You’ll also find local Thais bowing to statues of Lord Ganesha all over the country. Thailand is essentially a Kingdom, with King as the head of the state (similar to president in India). Thai people revere their King and you will find (late) Thai king’s portrait in every home, hotel and shop. Needless to say respect the King at all times. Winding up this Solo Indian Traveler Guide to Thailand, hope you liked this Backpacker’s Guide to Thailand. And on a rare chance you did, don’t forget to share this all your lazy friends with whom you keep planning but who keep on ditching you last minute. Let me know your thoughts (planning to travel soon?) and questions in the comments below…! Khao san road – this is where all the young people go, or you can book something near airport if you are not planning to leave Bangkok on the same night. Book using app – ibibo or makemytrip for great discounts. Yes, these apps work pretty seamlessly, and what else! you get to pay in rupees, so no forex hassle as well. Visit the area you want to stay and walk around to find a place. Note, that in peak season it is advisable to book the accommodation beforehand as the hotels/hostels/guesthouses fill very past and it gets very tricky to get one.